The my passport usb 3.0 portable hard drive - black 4tb Hard Drive is manufactured by Western Digital and was added around November 2017. 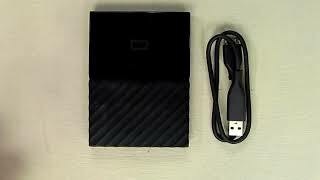 This version of the Hard Drive comes in Color : Black , Storage : 4 TB. It comes in 9 other variations including combination of Black, Blue, Orange, Red, White, Yellow Color , 1 TB, 2 TB, 4 TB Storage. The best price for the Western Digital My Passport USB in Egypt is EGP 1875 sold at Souq and available with free shipping and delivery within Delivery in 3-7 days. By comparing prices and buying from the cheapest store you can save up to 37% or EGP 1124.